Watch this course to learn how to administer VMware vSphere 6.5 virtual machines, vApps, clones, and templates. 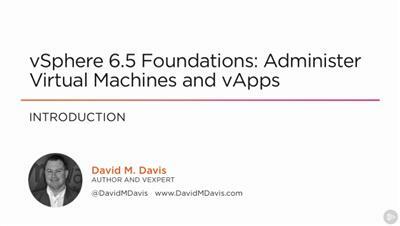 This is the fifth course in the eight course vSphere 6.5 Foundations series. Video Training → Lynda – VMware vSphere – Administer and Manage Virtual Machines. Lynda – VMware vSphere – Administer and Manage Virtual Machines.